Why a salad dressing book? Because dressing a salad is the most obvious use for Leatherwood vinegars. 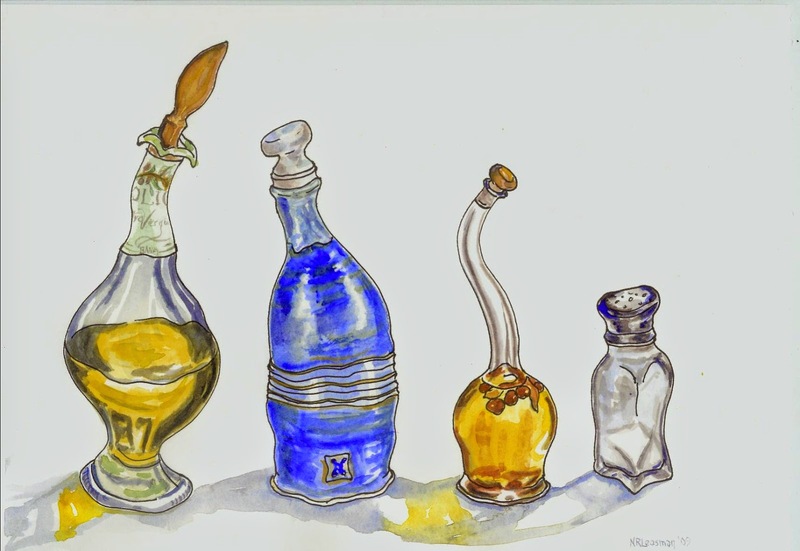 So many people have asked how to use the various flavors of vinegar. They often mention oil and vinegar but in a far off sort of way as if they’ve never actually dressed a salad with this most simple of dressings. In my first vinegar-themed book Leatherwood Vinegary, a Winery Gone Sour, there is a whole chapter of recipes using vinegar. From salads to dessert, vinegar enhances and brightens the flavors of food as well as providing its own tangy acidic touch. The herbal vinegars take a step up by adding the distinctive flavor of each herb or herbal blend. 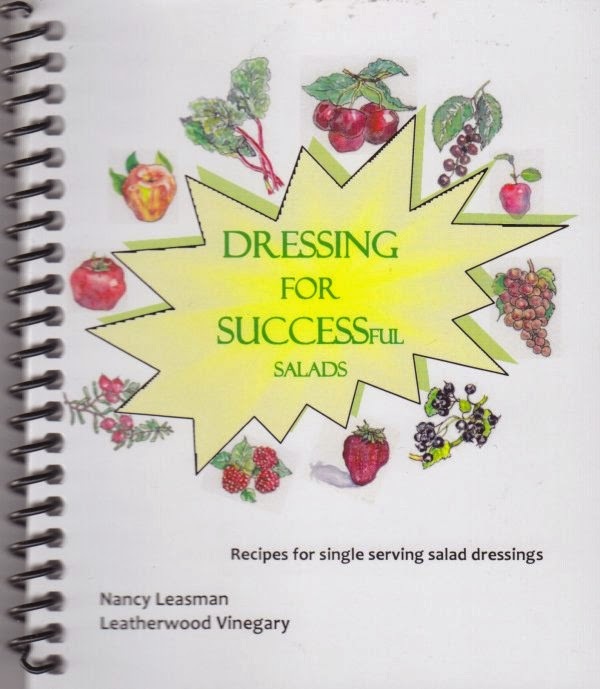 Dressing for Success-ful Salads, is a great way to start your exploration into the world of exciting salads and the sauces that dress them. We explore the world of vinegar, oil, salt, sweeteners and other ingredients for the making of dressings from classic to nouveau. Every ingredient is there for the purpose of creating flavor. Nothing is included to extend shelf life, artificially enhance otherwise inferior flavors, add thickness or create overly sweet syrupy concoctions. Someone said recently that she wished she could taste salad dressings in the store before buying them because she was often disappointed when she tried them on her salads. How often does a bottle of dressing languish in the back of the refrigerator? How many other bottles join it as each one fails to satisfy? By learning to make your own, you will find the dressings that suit your taste profile and vanquish the banal bottles forever. Each recipe is for a single serving. With the proper ingredients on hand, you will create a fresh dressing for each salad you make. Simply double, triple or quadruple as necessary to make the right amount for the number of people you are serving. Don’t double or triple it for your single salad; maybe you can’t eat too much salad but you can certainly overdo the dressing, calorie wise. A chart in the back of the book helps with multiplication just in case you’re cooking for a crowd or know that you like a particular recipe well enough to fill a decorative bottle that won’t languish. The book also suggests combinations of vegetables, fruits, seeds, nuts, meat, cheese, as well as the greens that form the backdrop of your scenic salads. Enjoy the book and enjoy the exploration of eating well. To order, please send a check for $5.95 (per book) plus $4 for shipping to: Leatherwood Vinegary, 20395 County Road 86, Long Prairie, MN 56347.